Jaleel White’s TMZ Karmic Wish! TOTAL BLACKOUT Celebrity Episode! Game playing in the dark is not for the faint of heart. 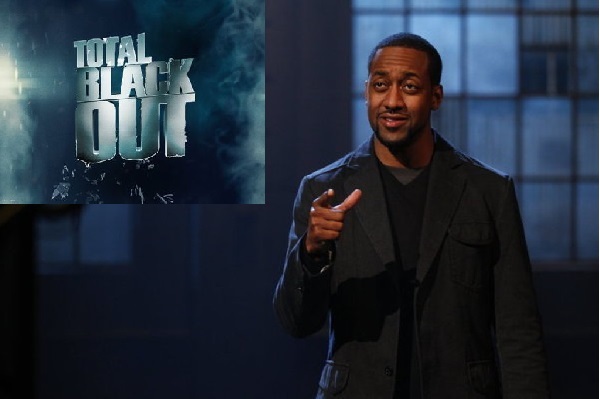 Syfy’s part stunt show and part game show “Total Blackout” hosted by Jaleel White (Family Matters, Dancing with the Stars) is welcoming some celebrities to play along during the July 9th episode. Each celerity will be competing through the obstacle course in complete darkness, famously equipped with everything from scorpions to plush stuffed animals. These celebrities who are playing for charities are Aubrey O’Day from Danity Kane (Making the Band, Celebrity Apprentice) who is playing for Responsibility charity, Bob Guiney (Showhouse Showdown, The Bachelor) for Children’s Hospital Los Angeles, and actors Erin Way (Alphas, Detroit 1-8-7) for Lungevity and Neil Grayston (Eureka, Wonderfalls) for Doctors Without Borders charity. Each celebrity contestant will have the chance to win up to $15,000 for their charities. “Total Blackout” is a half-hour “extreme game show” that airs Tuesdays at 9:30 pm (ET/PT) on Syfy. The series will conclude its Summer Season on July 9, 2013.